Its always nice when we get testimonials, this was one that we received regarding a client, a recruiter, who said that our assistance stopped them closing down their business. Recruitment finance is one of the areas that we tend to specialise in, as the number of staff agencies using invoice finance is approximately 20 times the national average. "At a time when we thought that we would have to close the business Sean put us in touch with a new financier and we can now continue trading. The service was quick and painless and Sean provided us with a solution that many others couldn’t. I will definitely be recommending Sean to anyone who needs help with any business finance solution." They also gave us a 5 star rating (out of 5), and have been added to our testimonials page, where we have achieved a 4.9 average out of 5.0. The lowest rating I think we have had is 4 out of 5, and you can see comments like "I would highly recommend . . ." alongside one of those, so they are still strong endorsements. 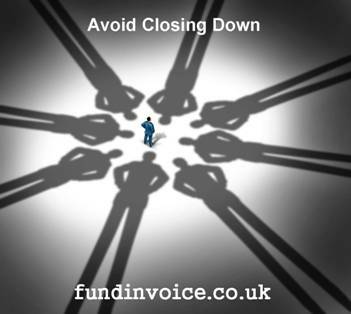 Its also good to see another example of how using invoice finance can help a business get through a difficult patch, and avoid having to close their business down. It is a lifeline to many small and medium sized enterprises. Yet still the level of awareness of this type of funding, and the extensive array of options available, remains very low in the UK. Our research suggested that as many as 1 in 3 eligible businesses were unaware of the option. Its also nice to hear the comment that ". . . provided us with a solution that many others couldn't". Many people think the market is simple to understand but it is only through experience and the large volume of market research that we undertake that we have been able to identify some of the more niche solutions that others might not even know exist.